I, Zeb the Duck, have to se this. 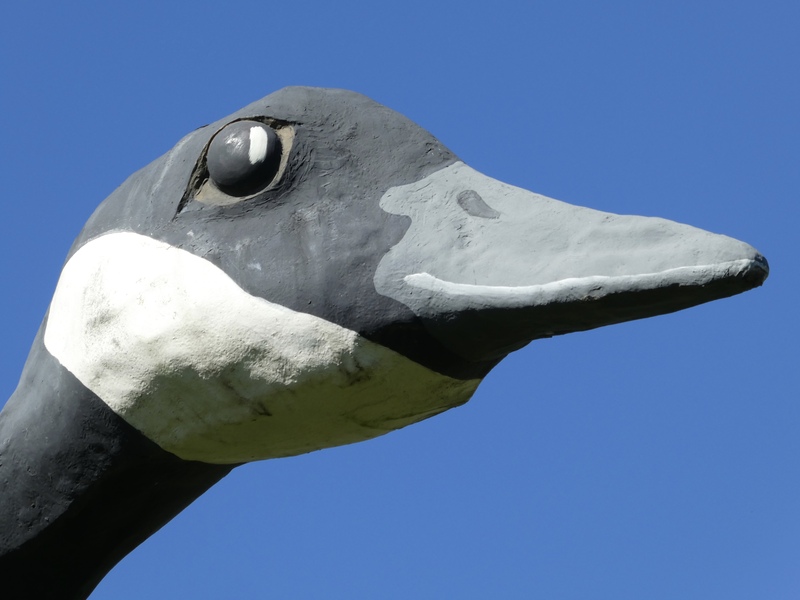 A 40 foot tall Wild Goose. 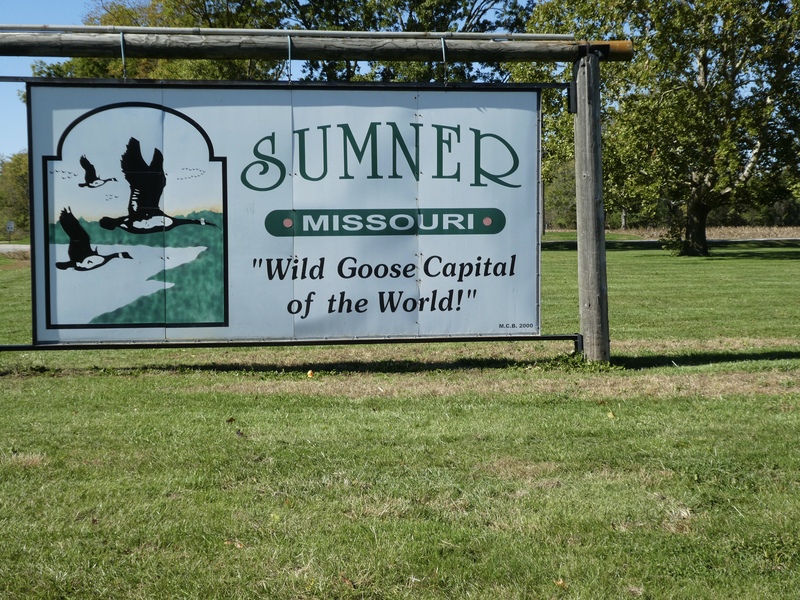 She is in Sumner, Missouri. Meet my new friend, Maxie. She is 40 feet tall and has a wingspan of at least 61 feet. And something women don’t usually tell me. She weighs 4,000 pounds. That is 2 tons! In 1976 Maxie was sculpted by David C. Jackson, a Kansas City architect. 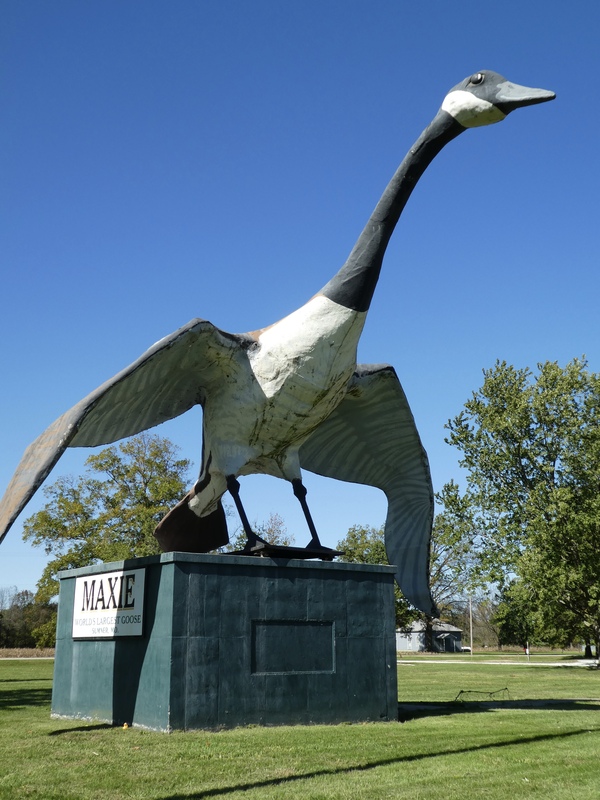 During the annual Wild Goose Festival, Maxie was dedicated. Some people say parts of Maxie were delivered by helicopter. Maxie is watching me. With huge eyes. Maxie is supposed to turn a few degrees if the wind is strong enough. No wind today. Maxie lives in a great park in Sumner. There is a picnic area and a sports field. If I lived here, I also would spend a lot of time in this park. Soon mom says it is time to continue driving. Next point of interest for us is a state historic site. 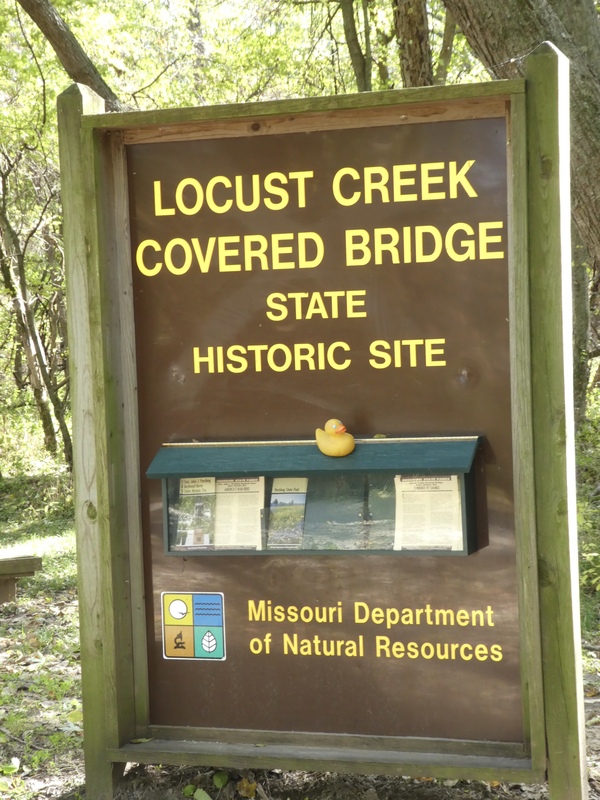 Here we are at Locust Creek Covered Bridge State Historic Site. We need to walk to the bridge. First we must cross the river using an uncovered bridge. 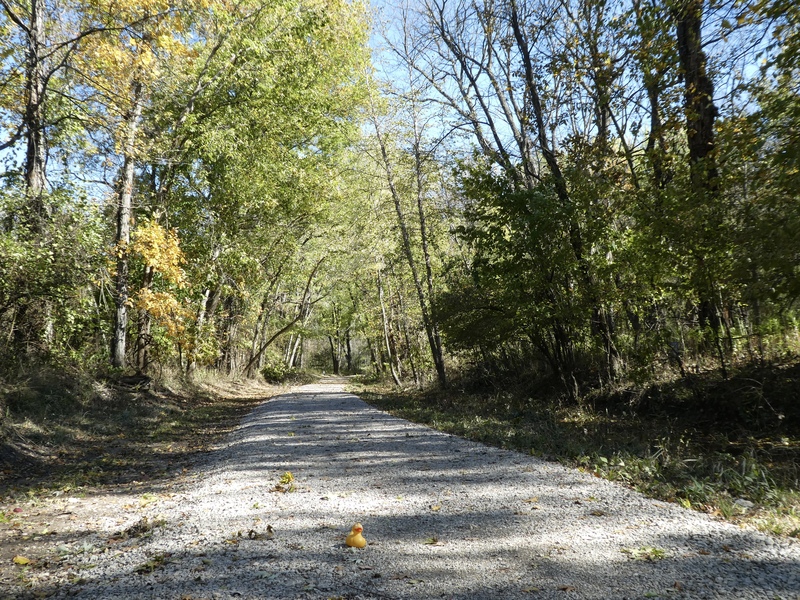 Then a short walk down the gravel road. And here it is. 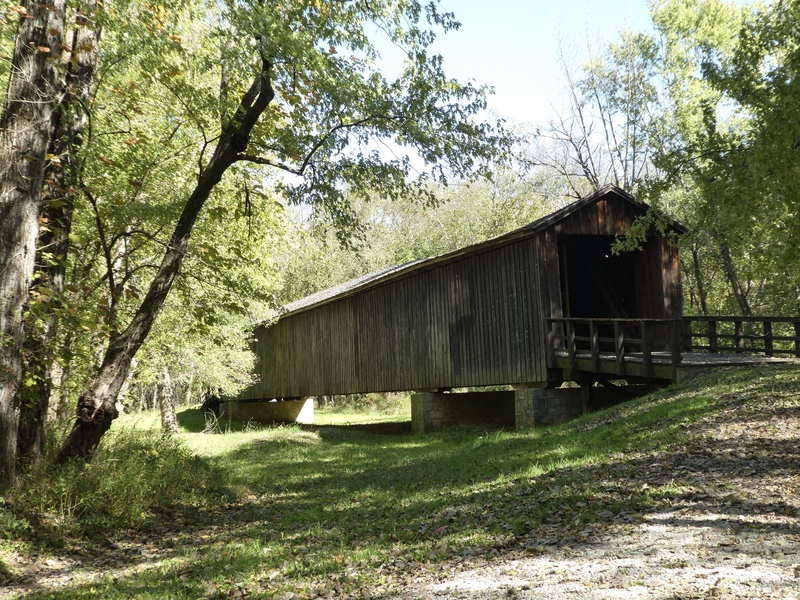 Locust Creek Covered Bridge. We will see more bridges in a couple days. This bridge is closed to vehicle traffic. Let’s walk inside. This is great. We can see the support beams. We can also hear the river below. I like this bridge, but why did people build covered bridges? 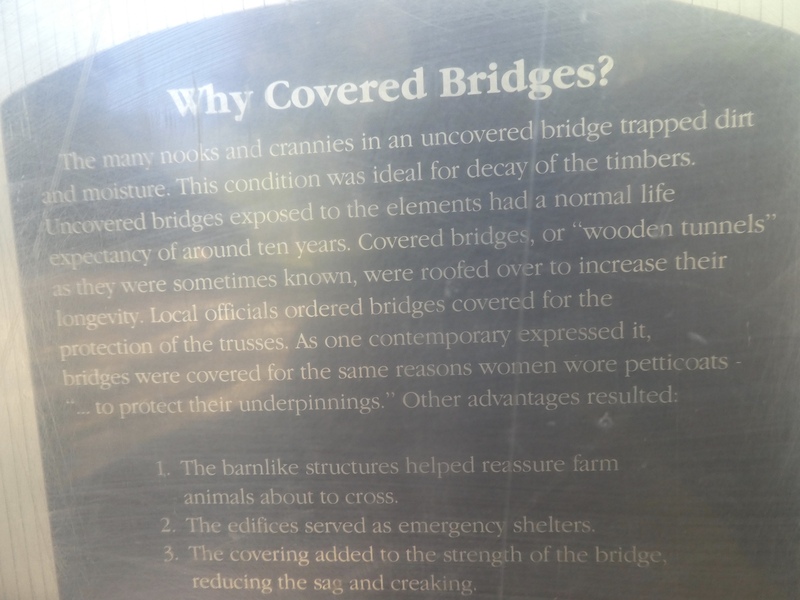 This sign is a little difficult to read, but covered bridges were easier for animals, mostly horses and cows, to enter. Humans believe the animals felt like they were going into a barn. 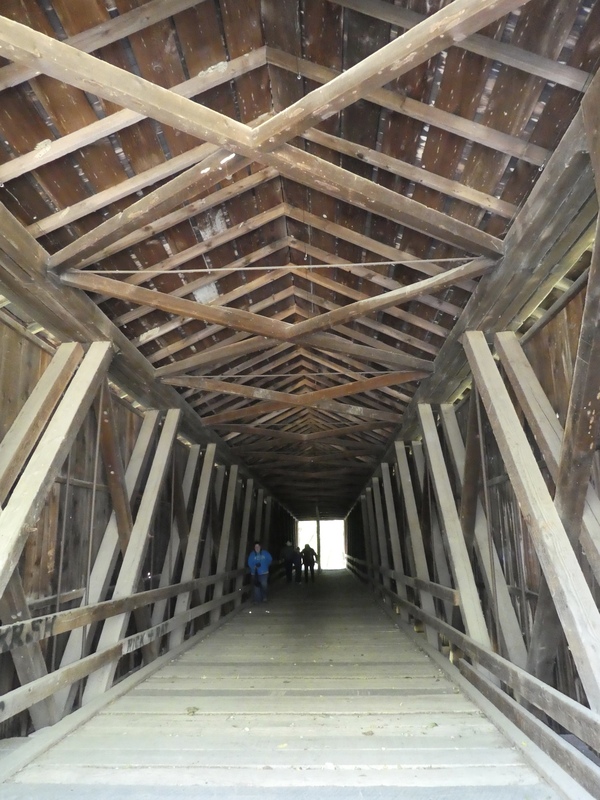 Covered bridges also served as emergency shelters. 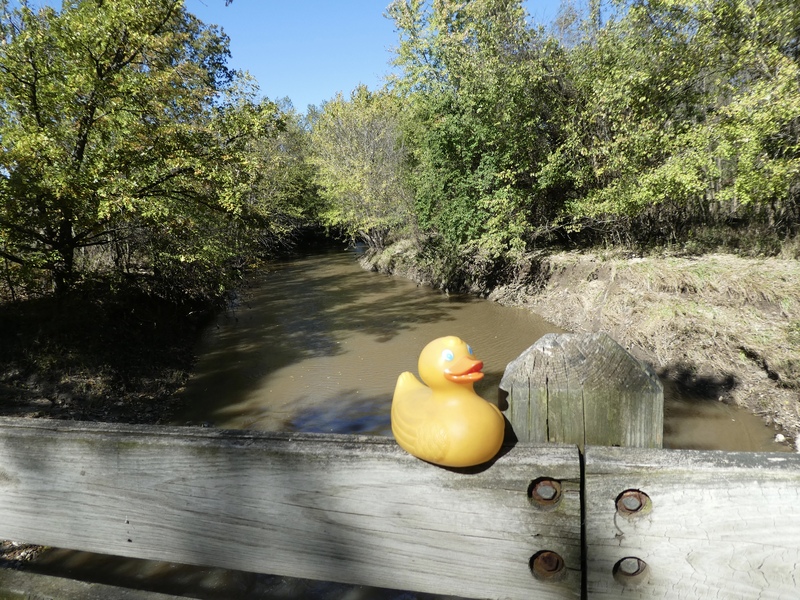 Weather in Missouri, like most places, is unpredictable and can change quickly. And importantly, covering a bridge helped strengthen and protect the bridge structure. I like covered bridges and am eager to see more. Do you like covered bridges?